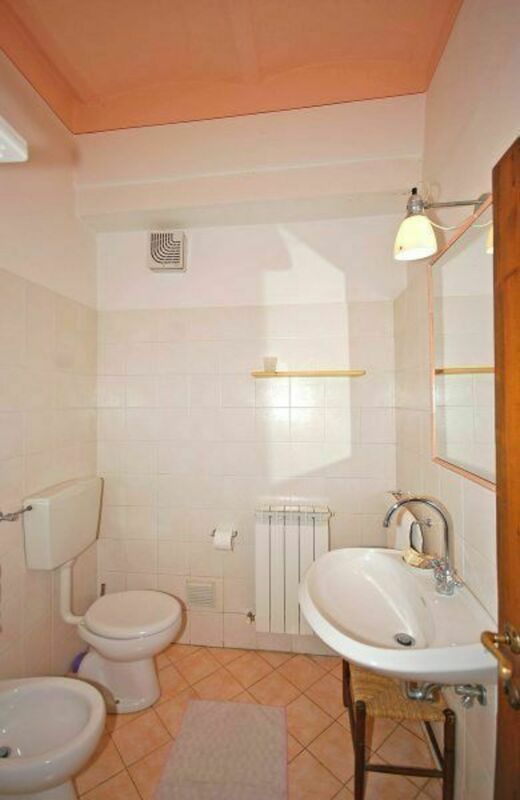 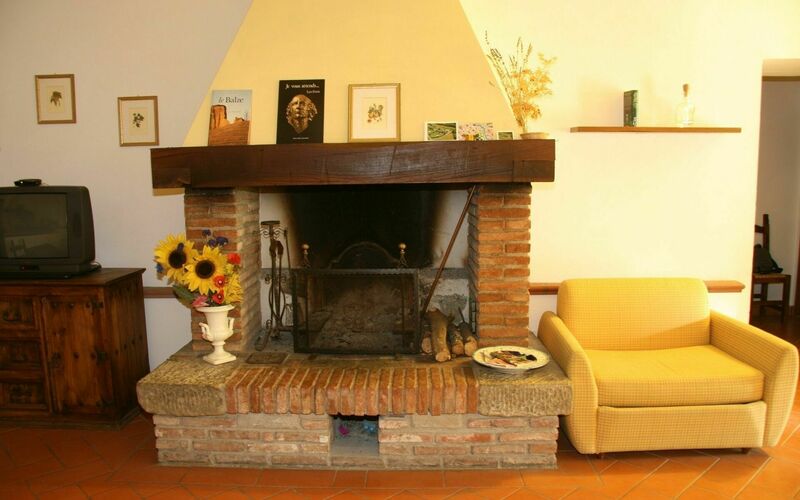 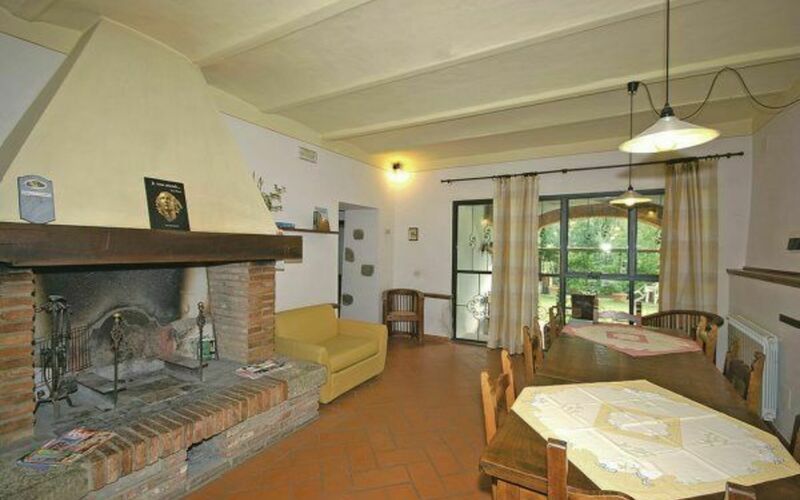 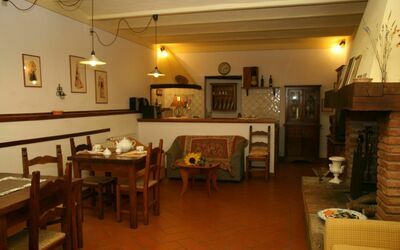 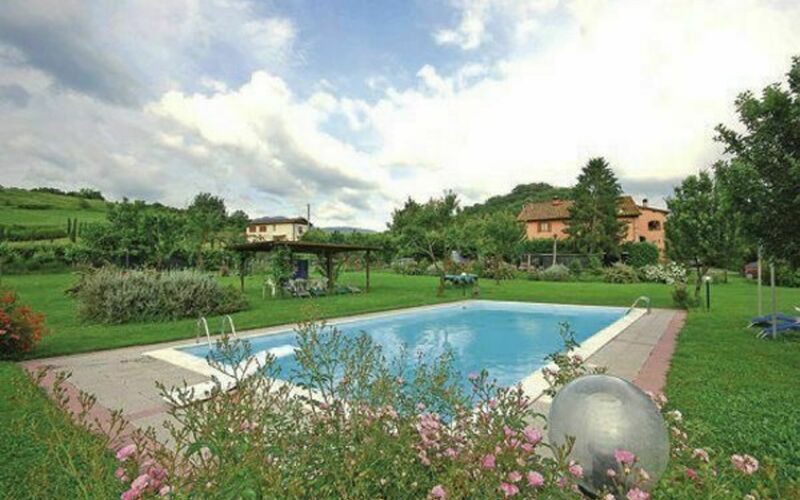 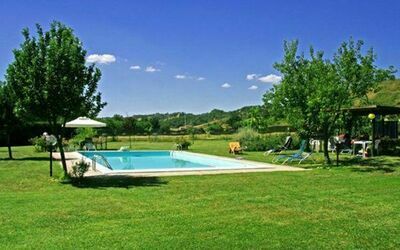 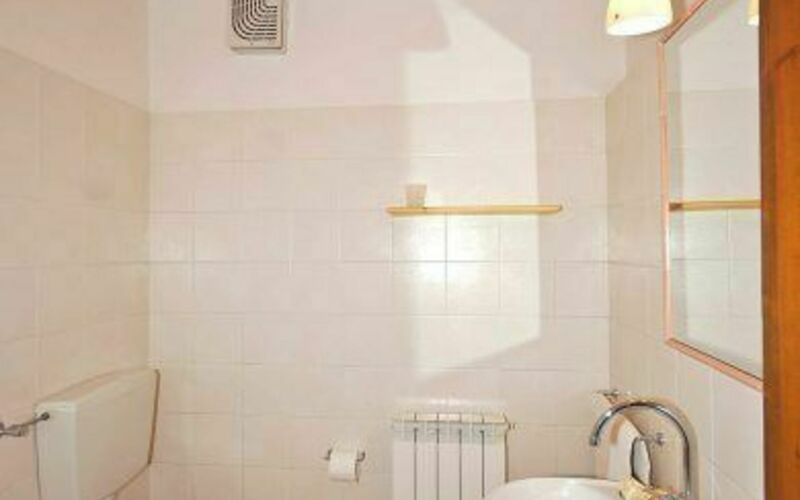 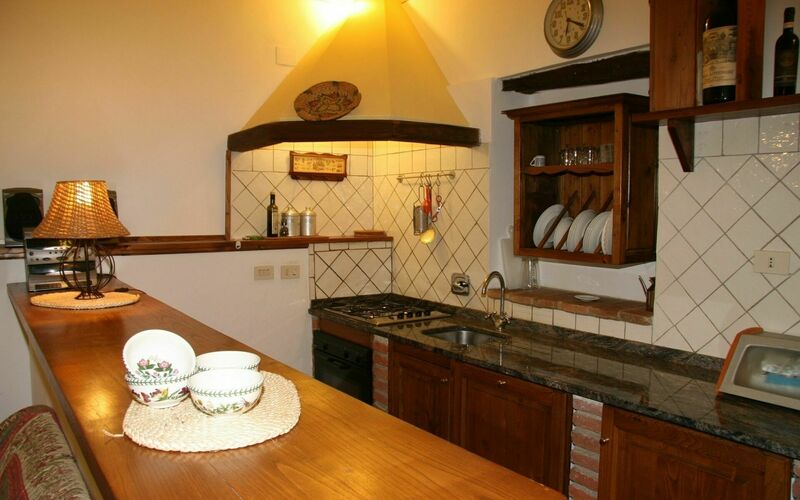 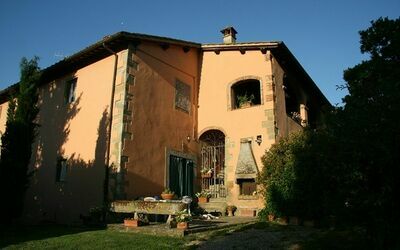 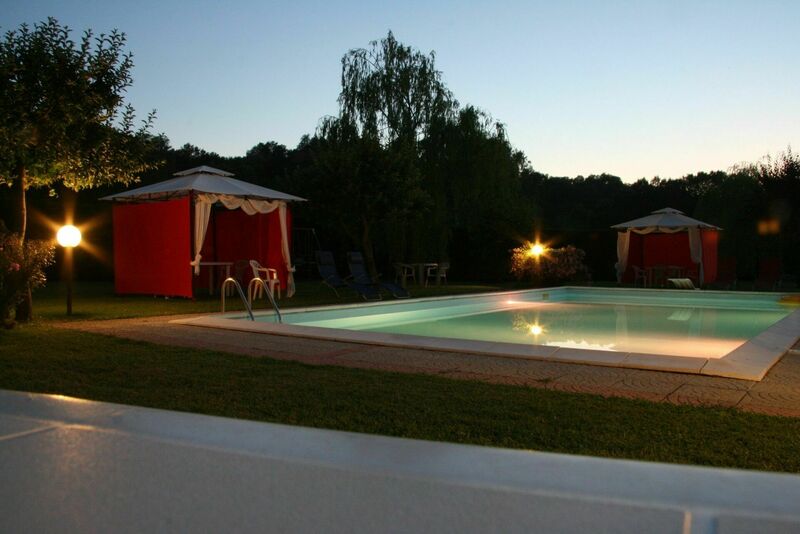 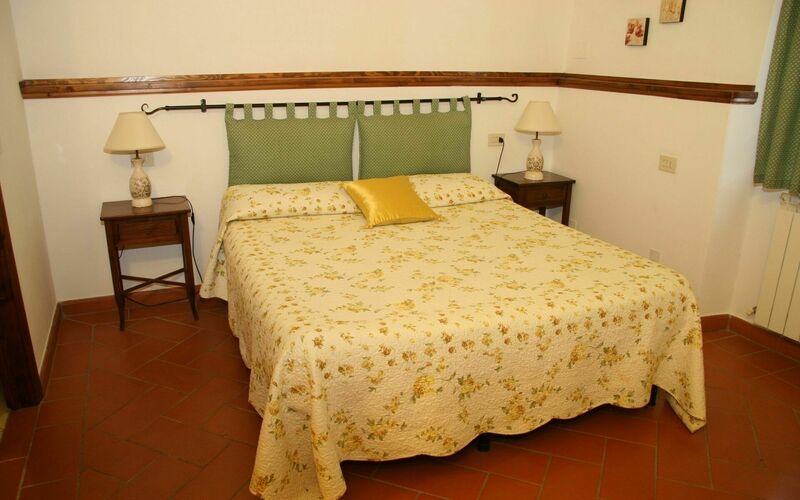 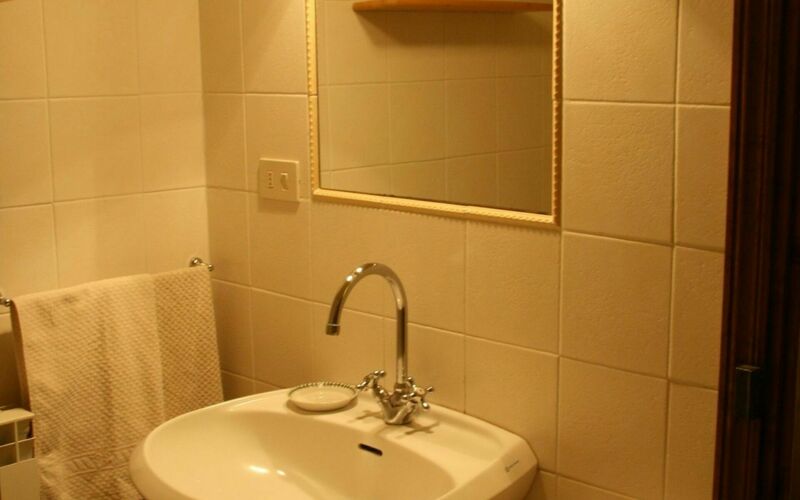 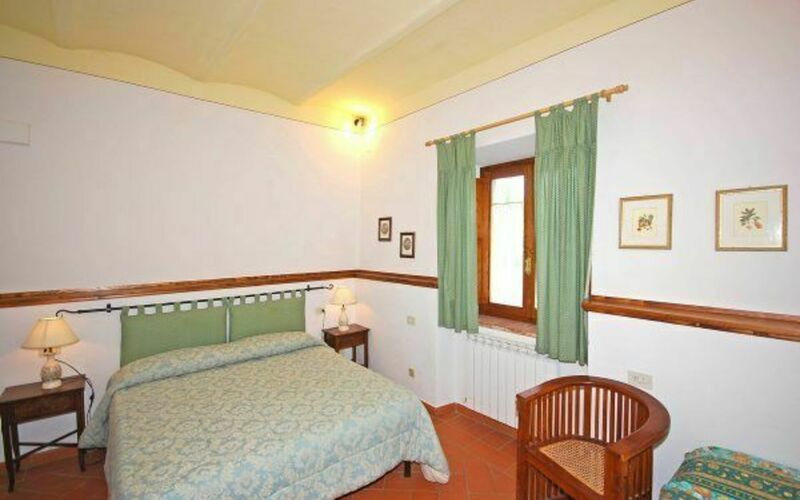 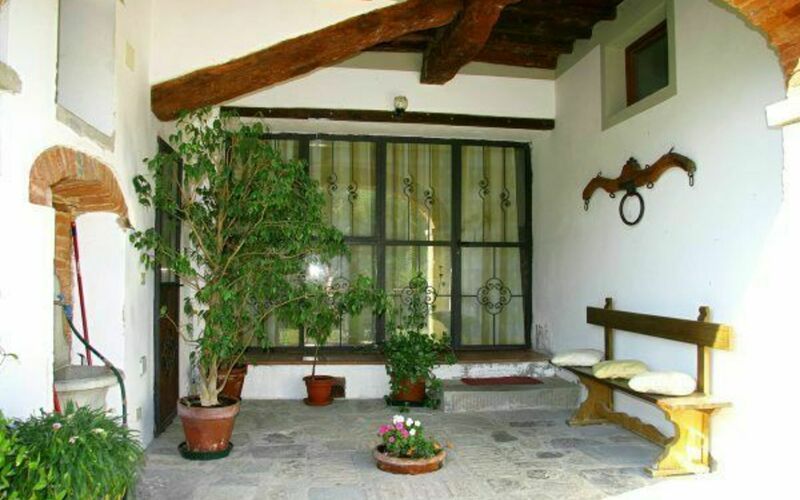 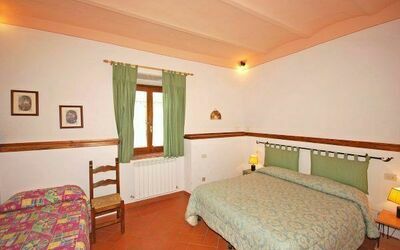 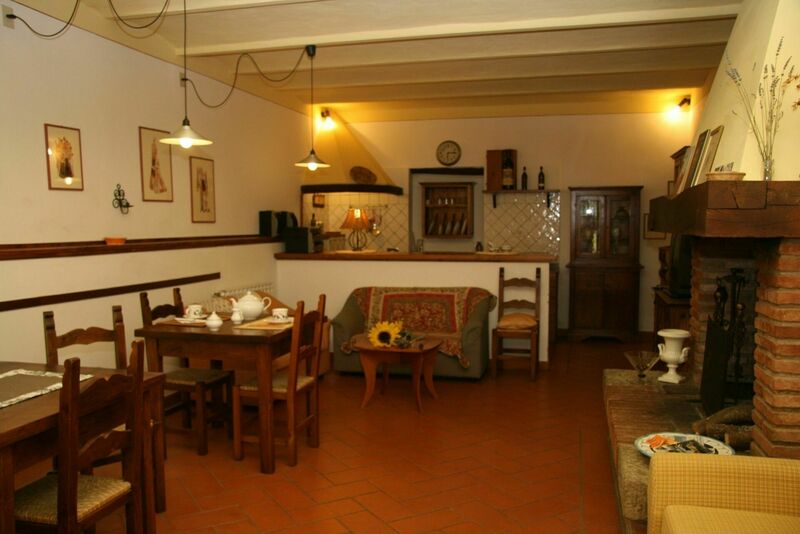 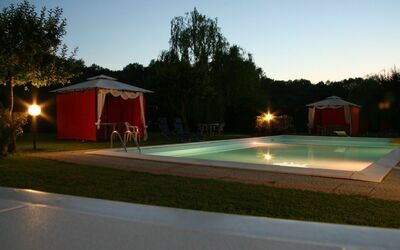 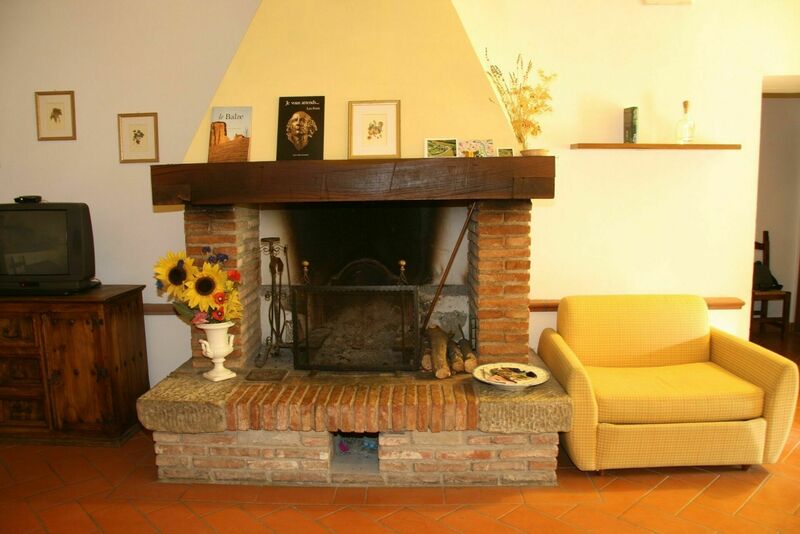 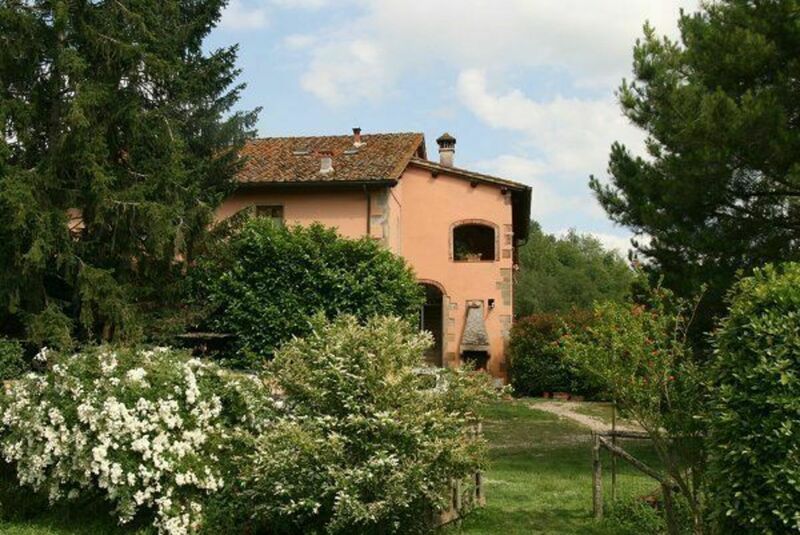 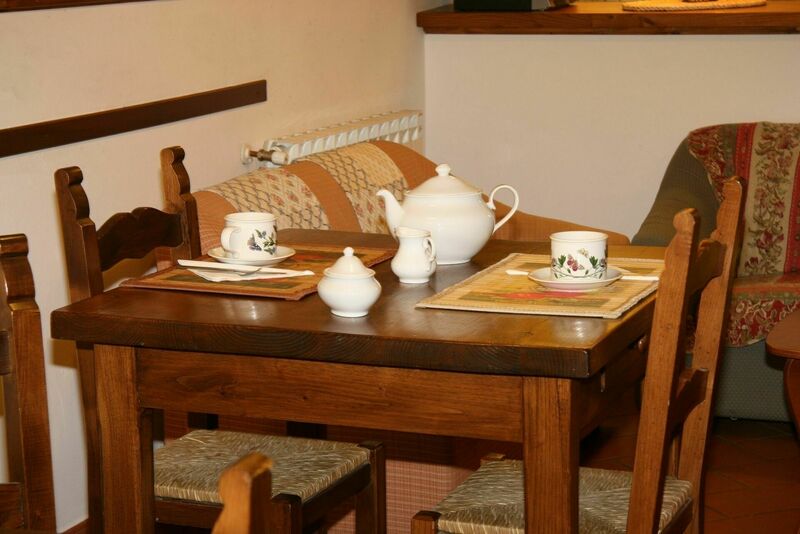 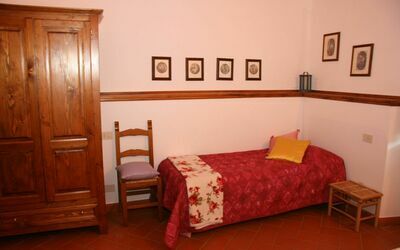 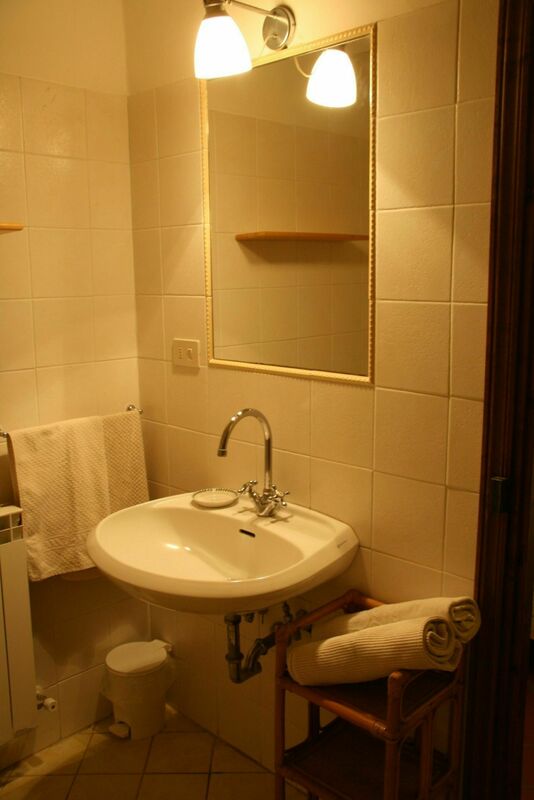 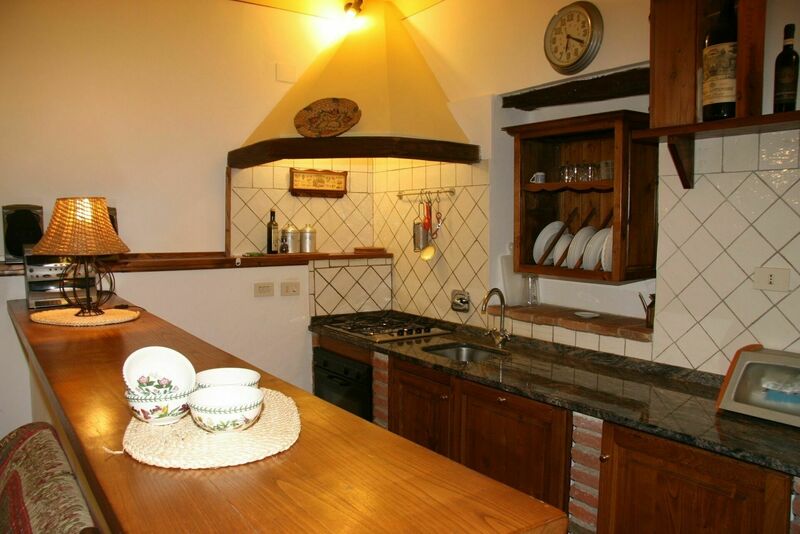 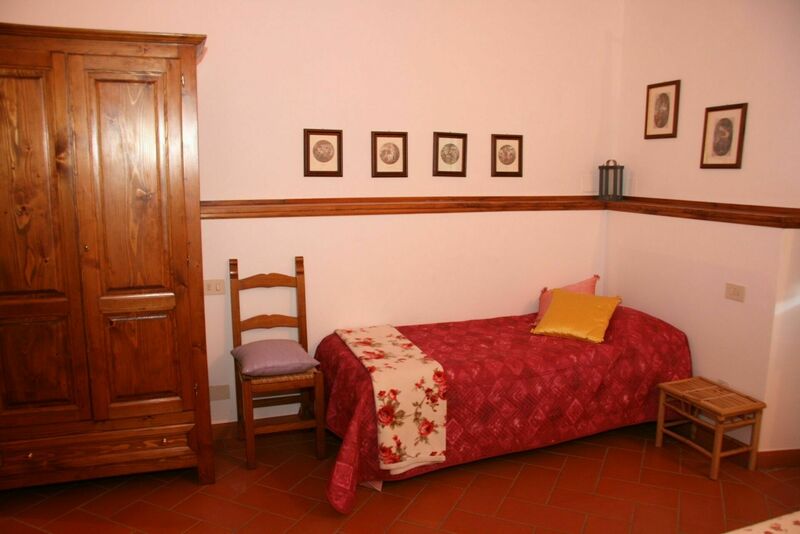 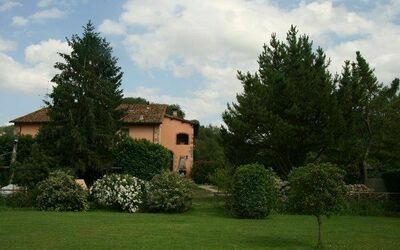 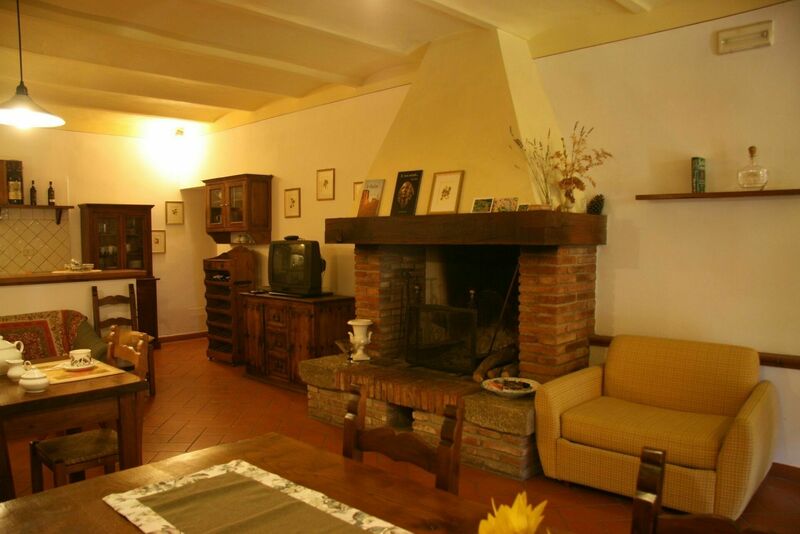 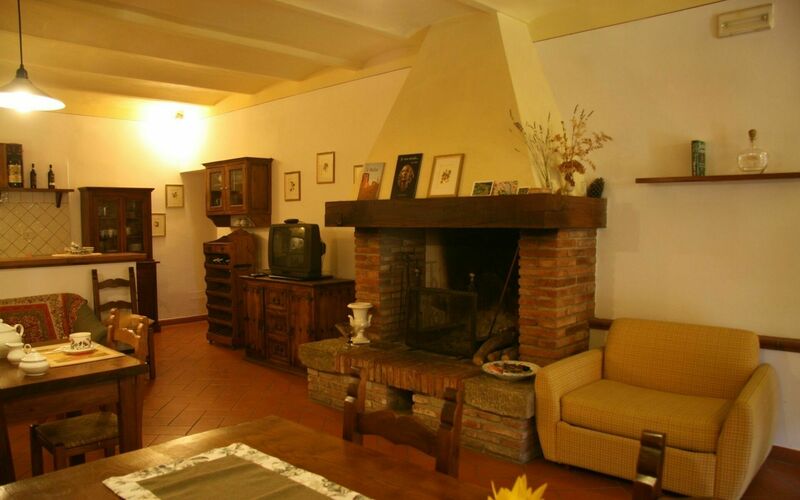 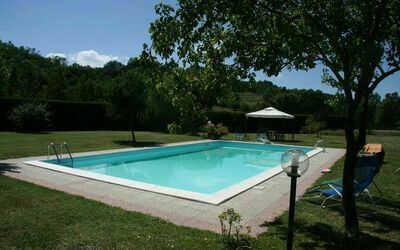 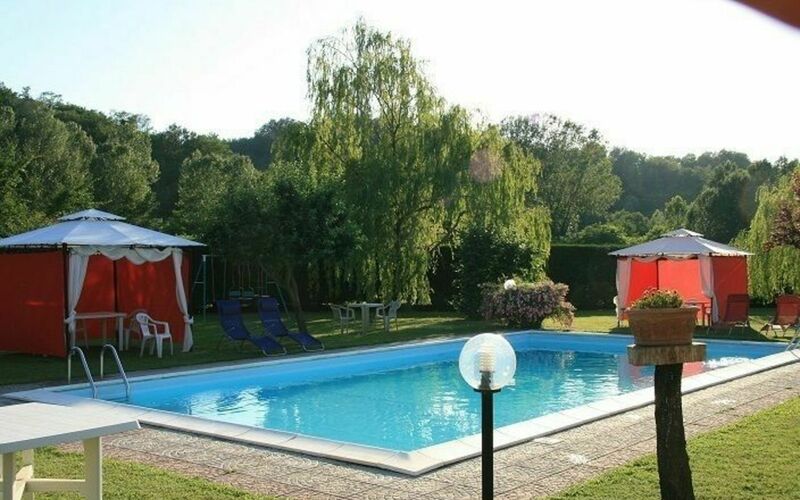 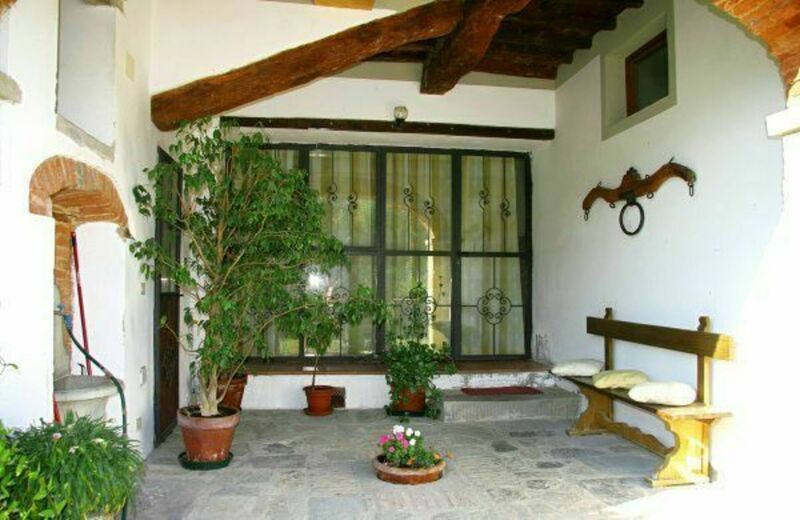 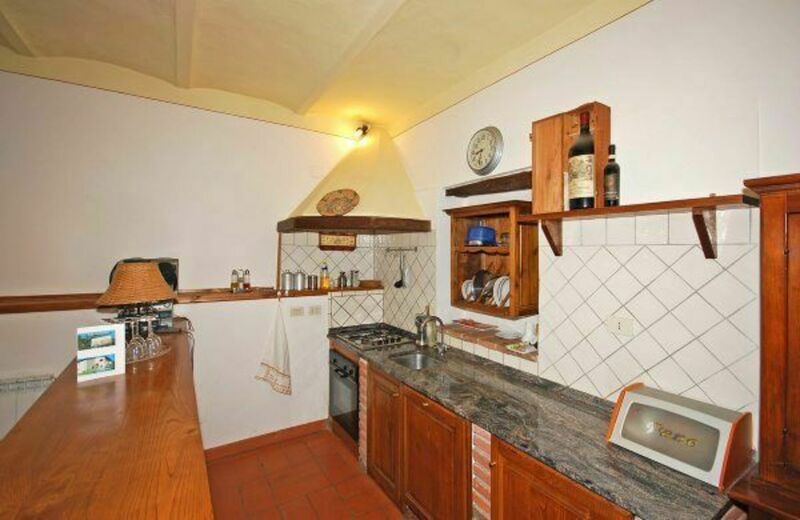 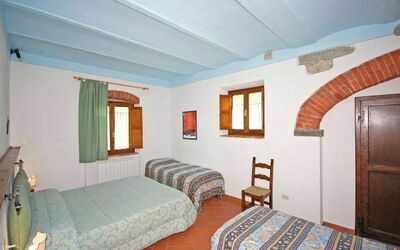 In the heart of the Balze is the property "IL CASOLARE", an independent apartment in a farmhouse situated in a valley between the green hills of the Arno Valley. View of the countryside, 30 m from the main road. 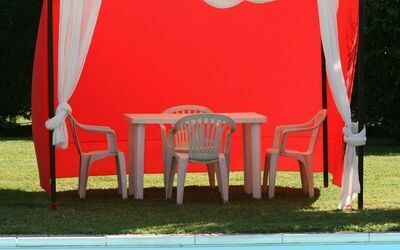 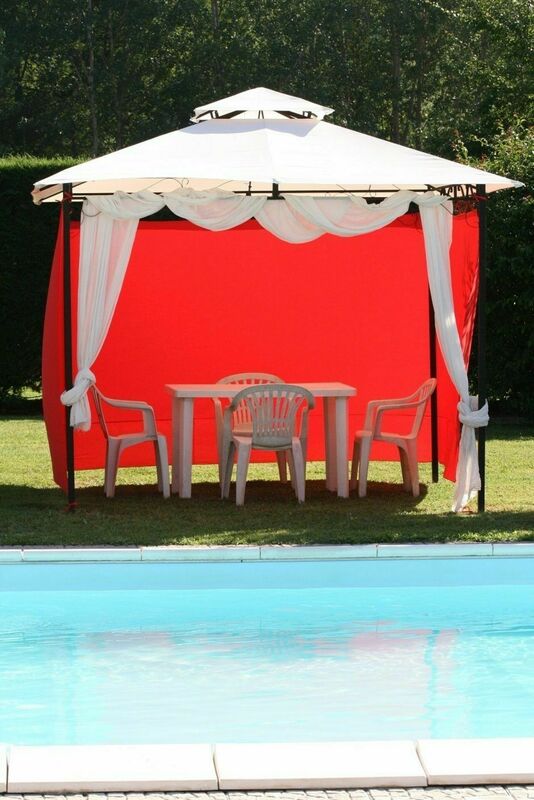 Exclusive private garden in front of the house with a pergola for outdoor dining. 3 km from food shops, 5 km San Giovanni Valdarno (all kinds of shops), 30 km Gaiole in Chianti, 38 km Arezzo, 45 km Florence 58 km Siena. 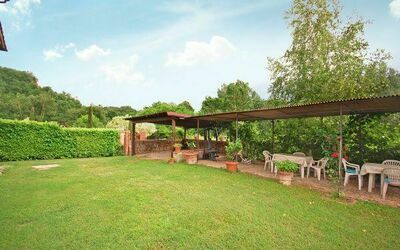 Exclusive private garden (200 m2) in front of the house with an equipped pergola for outdoor dining, barbeque and table-tennis available. 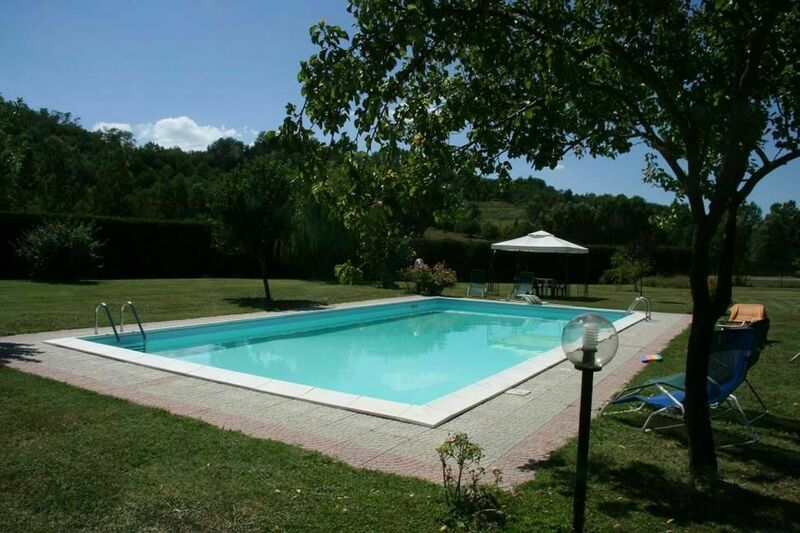 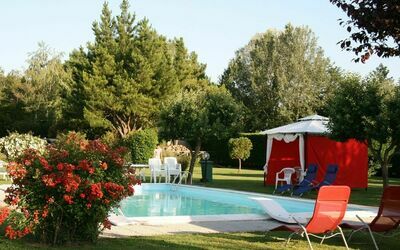 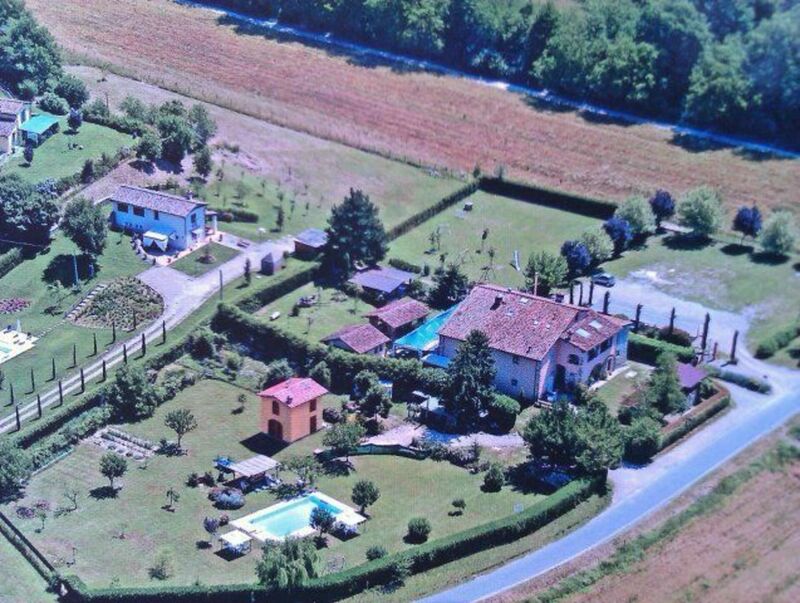 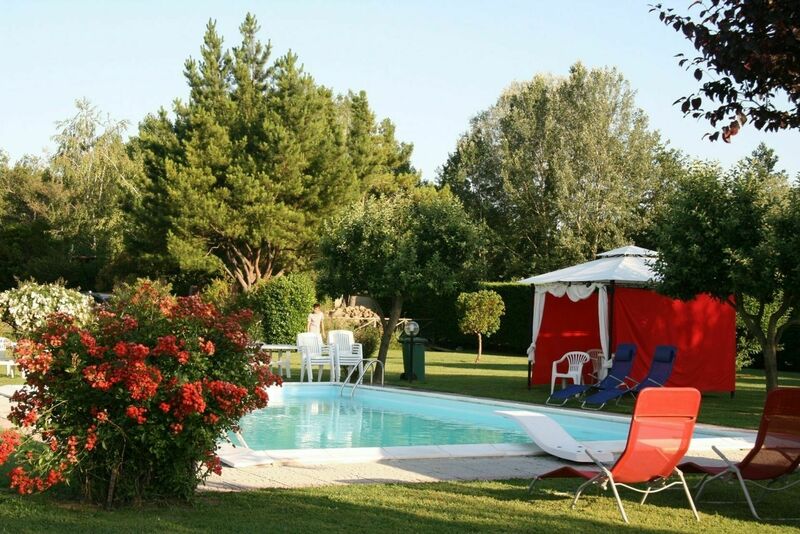 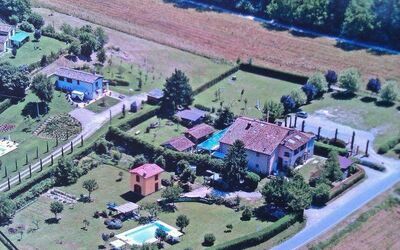 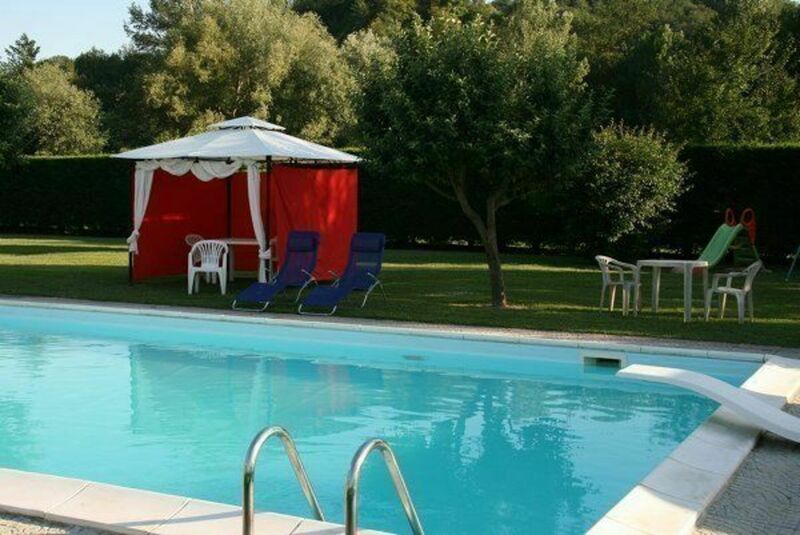 In common with the owner who lives on the 1st floor: large lawn (5,000 m2) with swimming pool (6x12 mt depth 1.2-2.2 open from May to September). 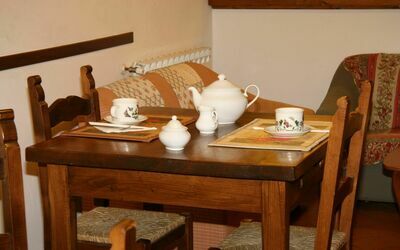 Near the house there is a small restaurant.